This is part 2 for the post “We’re Still Learning About Wellness and Weight Loss 2019,” that was published just a couple of days earlier. In here we talk about how to use rewards and point system to keep us on track on our new year’s goals. Can we stick to our training and dieting plan with the help of a point system? We talked before about one of the biggest mistakes that you can make. That is rewarding yourself by having a food treat. Especially one that’s not all that good for you in regards to weight loss and wellness. It’s a mistake because it promotes eating to feed emotions. Emotions such as feeling happy that you’ve been exercising regularly for a week, or lost some weight. Creating an emotional bond to food as a reward will nurture a return to unhealthy eating habits. Much better rewards are events or items. You can create a point system, or competition, based on what you achieve. For instance, if you eat healthy an entire day, give yourself 1 point. If you exercise, give another point. A full week with healthy food will provide you with 7 points. If you are a competitive person, you can try to make better results than on previous week. Save up your points. Then get something for yourself or do something special. This type of delayed reward helps to stay motivated to continue forward. You can set up certain point levels, say twenty-five points, when you have something extra, like cash them in for your reward. Do things you’ve really been wanting to do, or invest them something that you need. Saving up your points is a great way to motivate you to keep on track. You can also set up certain higher milestones, then you can use for something more. When you use points as a healthy reward system, that automatically encourages healthy habits, as you want to get more points. The power of a reward is a great way to make you feel good. And when you connect feeling good with rewarding yourself and get better wellness, you’ll be sure to hit your goal. Most of us like getting something as a reward for doing something, like dieting. But more than that, we all hate the idea of losing something we want or something we have if we don’t stay the course. Negative consequences can actually affect more than positive outcomes. No one likes to be penalized. We work harder to keep that from happening. The reward and penalty system works to breaking bad habits as well. You can set a goal to lose weight and have short-term goals in place. When you reach a short-term goal, you reward yourself by putting money into your diet fund. For instance, for each exercise you make or pound you lose, you can give yourself a dollar, five dollars or whatever. If you fail to do your exercises, or you gain, then you must give that money to something or to someone else. So that is the punishment. No one enjoys giving cash away, and that makes it effective. You can find some smartphone apps that are based on a reward and penalty system. The punishment that you pick should be one that actually matters to you. If the money is not the right choice to motivate you, then you could set your penalty to giving up something you really enjoy. Such as passing the episode of your favorite show. Your motivational system should not be based solely on punishment. For it to be efficient, you have to make sure you have something positive built into the system. For those who have been struggling to shed stubborn pounds, or have obstacles to stay active, reward and penalty system might be an exciting system to test out. An example of that would be: make sure you have exercises that you really like versus one that you don’t. Having workouts that you enjoy makes it natural to stick with it. So if you don’t exercise, then your penalty could be like skipping the movie you were planning to go see. Never use food to penalize, or as a reward. If you do that, you start to associate the wrong kind of emotional feelings for food. The penalty should never be correlated with shame. You don’t need anything that fills your head with negative self-talk. You’re feeling on top of the world with your exercises and dieting, and you have several smaller goals already under your belt, but what happens after first month? First, you need to understand that every person in the world who has dieted will get off track at some point. It is just human, it doesn’t mean that you are a failure or a loser. Don’t make too firm plans, leave room for modifications. However, you don’t want to stay off long. It’s harder to get back in the right direction after the break. There is a danger to end up filled with regret and sometimes self-loathing if you get off track. You think you blew it, then you feel so disgusted that you allow feelings of discouragement to take hold. You skip the gym, and before you know it, unhealthy habits show right back up. This is a matter of mindset. Negative self-talk rises up quickly after the failure. If you fail, you just need to learn to stop banging yourself up. Nothing can’t be undone. It only takes a little longer to reach those original goals. A good way to lose weight and keep you healthier and happy might be a program where you diet to lose weight for a period of time (for example, one month) and for the 2nd month, you only maintain the weight you lost. So what, you didn’t stick with it as you’d hoped? It’s not the end of the world. Refuse to play the game of shame. Realize that you made a little mistake and then make a fresh start again. Realize it was a mistake and start again. This enables you to give yourself a fresh start. That’s the key to getting back. Don’t make too rigid exercise or diet plan. There should be room for some bending. No training or diet should be so set in stone. It should allow room for you to make changes. Some plans that work for other people just might not work for you. By forcing yourself to stick along, you can bet that you’re going to give up more easily. Your diet and exercise plan has to work for you. It has to suit your lifestyle and daily life, for your personality, and your budget. You have a weak link in your system if it doesn’t work for all three of those. You need to be able to adjust whatever plan you’re using. People often get too stiff. You need to find an exercise or diet method that you are happy with, then you more likely stick with it longer. If the plan doesn’t work, then you have to find something that does. Make tweaks to your plan to get it to work for you. If it works for you, then that’s all that you need. If you’re doing exercises that you hate, then the odds of you reaching your wellness goals are pretty slim. It’s the same with the penalty system. It shouldn’t be too inflexible. As time goes on, you might get a little bit indifferent toward your overall goal. When your penalty system is way too rude, then it will be easier to quit. You should also adjust your penalty system as you go along. Most people are actually too hard on themselves. Remember to keep the penalty system fun and simple, but at the same time, it should be something that matters to you. 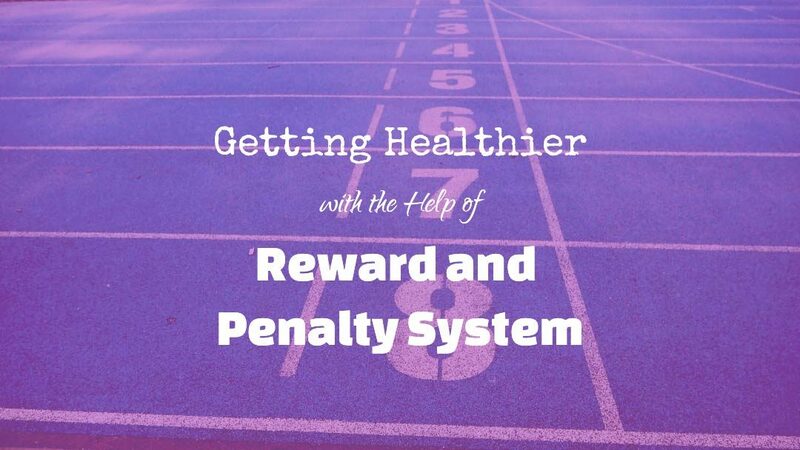 When you use a reward and penalty system together, it can work for successful goal setting for your exercises and dieting. Only you will know what’s right for you. Feel free to tweak the system to where it most benefits you. One of the biggest obstacles that people always have to overcome in their fitness and dieting routines is sticking with them. As long as you’re happy with the method, you’re more likely to stick with your program longer. And don’t be afraid to change up your entire programs periodically – both from a nutritional standpoint as well as the types of workouts you’re doing. Don’t let your body become accustomed to a routine because then it will know how to work against you to keep the fat on.